The Mary Dendy Hospital came into being in 1898 as the Sandlebridge Boarding Schools. The first two houses, one for boys and the other for girls, were built in 1902 and officially opened in that year by Mrs Maclagan the wife of the then Archbishop of York. The Society responsible for the existence of the Schools was the Incorporated Lancashire and Cheshire Society for the Permanent Care of the Feeble-minded, whose Honorary secretary was Miss Mary Dendy. 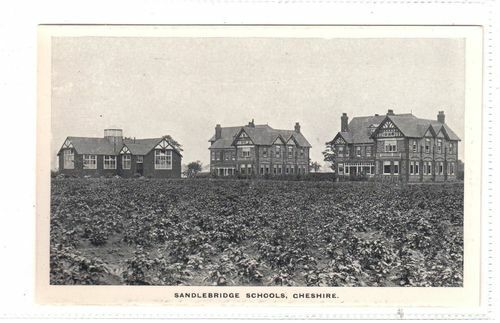 It is easy to see with the benefit of hindsight and distance, how the ideas behind the development of the Sandlebridge Schools are seen by many as highly controversial, and a world away from how we now see as the best way to care for those with complex care needs. What is not in doubt, is that hundreds, if not thousands of patients were part of the village community here in Warford, some living the majority of their lives in institutional care, but also taking part in daily village life, working and using public transport and local shops. The story of Warford could not be complete without them, and it is for them that I would like to record a little of what is known about life at the Mary Dendy Hospital. Miss Dendy was a member of the Manchester School Board from 1896 until 1914, and shortly after her election to the Board she raised the question about educational provision for “feeble-minded” children. She visited many schools in and around Manchester and set up special day schools for those with extra needs. Day school provision was however, in her view, insufficient, and she soon became convinced that what was needed was permanent residential care. She developed a vision to provide homes which would permanently care for the children she called her “little ones”, and quickly set about trying to raise funds through voluntary contributions and enlisting the help of Mr Charles H. Wyatt, Clerk to the Board, and Dr Henry Ashby, the well-known Manchester Children’s Specialist. 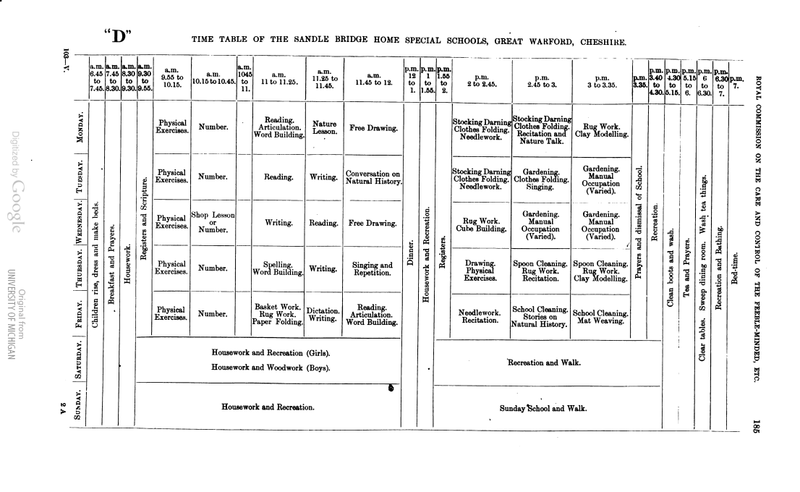 Plans were drawn up for two houses and a small day school and in 1900 they were approved by the Board of Education – the scheme was to cost £20,00 initially. 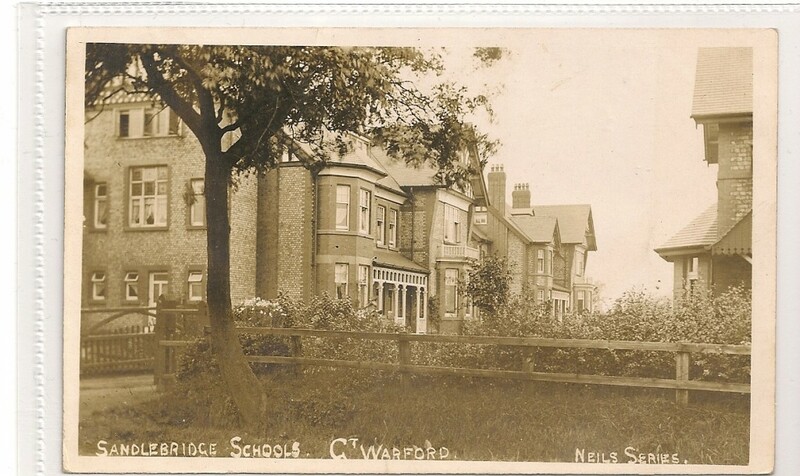 The two houses were built on five acres of land given by the David Lewis Trustees, and until the dedicated school building arrived in 1904, a qualified teacher held classes in a room in one of the houses already occupied by children. About the same time Norbury House Farm was rented from Mr Samuel Levy. There were about 16 acres of land attached to the farm, which was, at a later date, given by Mr Levy to the society. Farm and garden produce was then grown for the children. Cheshire County Council granted a building sum of £20 with the arrangement that a certain number of children from the county should be received into the Schools. During 1906, a new house, it was later given the name Wyatt House, was completed, again with the approval of the Board of Education, for 35 girls. In the same year, Warford Hall Estate (with 77 acres of land and a farm house was purchased for £10,000. Warford Hall in later years became known as Carey Bowden House and was occupied by 73 women patients. By this time 90 Education Authorities had made applications for the admission of children and the extension of the day school was made possible by further financial gifts from Miss Dendy’s supporters. In 1906, there were 127 resident children. In 1912, Marion Brooks House was opened for twenty youths over the age of 16 years, and later became a women’s house. Following the passing of the Mental Deficiency Act in 1913, for which Miss Dendy had tirelessly worked, she was offered and accepted as the appointment of His Majesty’s first Female Commissioner of the Board of Control. She retired in 1921 and came to live in a house which she had built in Warford and which she eventually left to the Society. She had become President of the Society and Chairman of the Governing Body. 1914 Manor House Farm. Later known as Heywood House with 80 acres of land for 32 youths at a cost of £5,140. 1915 Workshops were built on the site of the old Manor House Farm Shippons, for weaving, joinery, shoe making, tailoring and basket making. 1925 The recreation Hall was built by public subscription to commemorate Miss Dendy’s seventieth birthday. 1936 The laundry was built at a cost of £5,111. Miss Dendy died in May 1933, aged 78 years, having seen the schools grow under her untiring efforts, from eight children in 1902 to 425 patients and school children in 1933. She also saw the land owned by the Society increase to 225 acres form the first gift of 5 acres. During the period for 1898 to 1933 she raised £35,000 from voluntary sources. The Governing Body decreed that the Sandlebridge Boarding Schools should be renamed The Mary Dendy Homes in her memory. After her death, Mr Carey M Bowden, J.P became President and many difficult years followed owing to shortage of funds and the continuing need to update facilities. In 1948 the Mary Dendy Homes came under the control of the National Health Service and became known as Mary Dendy Hospital, and part of the Cranage Hall Hospital Group. As other approaches to patient care became more seen as more appropriate in later years and the facilities became run down, the site finally closed in 1989. Much of the detached parts of the complex were sold off and became private housing with the main site on Ancoats demolished in the 1990’s to make way for a housing estate. A small unit in Nether Alderley operated by the Cheshire and Wirral Partnership NHS Trust, bizarrely named the Saddlebridge Recovery Centre remains the only local reminder of the rise and fall of Mary Dendy’s revolutionary healthcare ideals which appeared and disappeared within a century. Some of this information was taken from an account written by Marion Brooks in the 1950’s. I have just read the story above and find part of it so sad. How much hard work, time and effort Mary Dendy put into her project and yet within 100 years only one facility remains. One i am currently working on at the min. If i was to wear a hat, i would take it off to you Mary. Your an Angel now. I used to live at pinfold stud in the 1970’s and rode all round that area, the Mary Dendy patients used to want to stop and pat the horses. they were so sweet Now part of the Mary Dendy hospital is owned my ex footballers wife Dawn Ward seen on the real house wives of Cheshire, and now its up for sale for 12million pound.